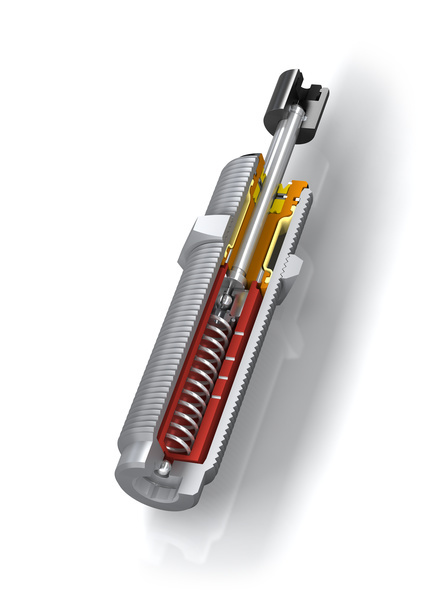 PET20 to PET27 - Miniature Shock Absorbers - Automation Control - Products - ACE Controls Inc. 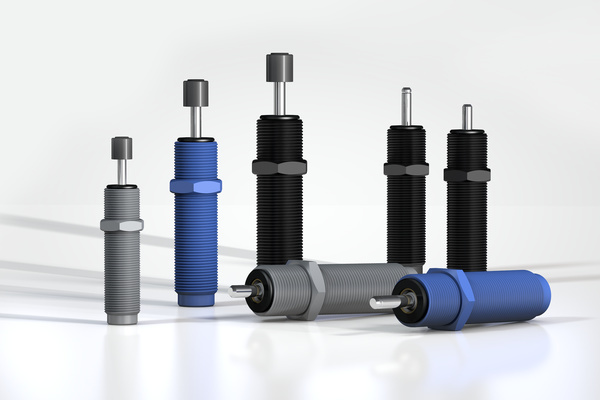 They work simply and faster than other shock absorbers and are stronger at the same time. As a result, downtime is reduced and system performance and production volume are increased. This is accomplished by numerous details such as innovative aluminium outer housings for better heat dissipation, improved high temperature seals (up to approx. 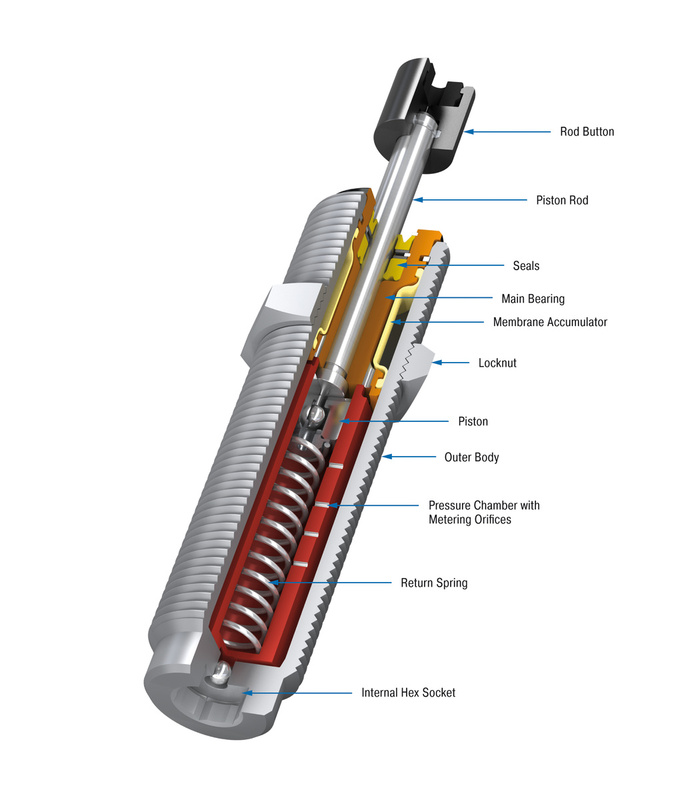 225°F), a diaphragm accumulator for faster cycle times and a larger damper chamber which is filled with food-grade oil. All of this significantly contributes to reduced wear and extended service life. These self-adjusting, specialized shock absorbers stand out in their field of PET container production due to their compactness and distinctively colored aluminium bodies.